CAMINO TOURS & TRAVELS is a Kolkata (West Bengal) based tour and travel company that has become a reliable name in the domain. If you have passion for experiencing adventure in your life, then contact us at the earliest. 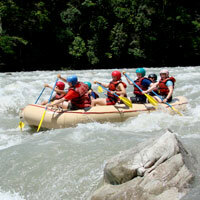 Different kinds of adventure sports such as trekking, river rafting, snorkeling, and many more are arranged by us. The best destinations for adventure sports are suggested by us to the travelers so that they can get total worth for their money. All the arrangements for commuting, staying, etc. are made by us in the best manner. We will provide you the vacation of your dreams.